It’s Mardi Gras y’all! While Mardi Gras was never a big deal in Georgia, where I grew up, it is quite the deal in Mississippi and Louisiana where Papa Bear grew up. That is a man that loves some Cajun food! This year, we are going to have a full on theme night for Mardi Gras (Shrove Tuesday) as we prepare for Lent. Check out our Princess and the Frog Theme Night for some great Cajun recipes that my family loves! I’m excited for the kids to get their first real king cake, and Papa Bear is excited to have one to himself! My favorite ones are filled with strawberry jam and cream cheese, or lemon curd. The cream cheese adds a great creaminess to the cake that is just delightful. Who wouldn’t love anything filled with strawberries and cream? This recipe is not my own! I am using the Southern Living King Cake recipe that I have used since I met Papa Bear 15 years ago and started to make them for him. This is a hard to mess up, always gives great results type of recipe – you gotta love those! Play around with the fillings and find your own favorite. Mardi Gras has a reputation of being a season of raucous parties and non stop fun…and it is, don’t get the wrong idea. But historically, it is much more than that. 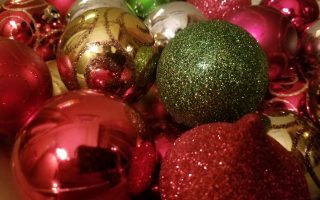 While most of us only know the party side, we don’t pay much attention to the actual purpose and significance of the holiday. The season is a time of revelry, celebrating the birth of Christ from Epiphany until Shrove Tuesday (Mardi Gras Day/Fat Tuesday). Fat Tuesday is the last day before Ash Wednesday, the beginning of a 40 day period of sacrifice and contemplation leading up to the holiest of Christian holidays – Easter. 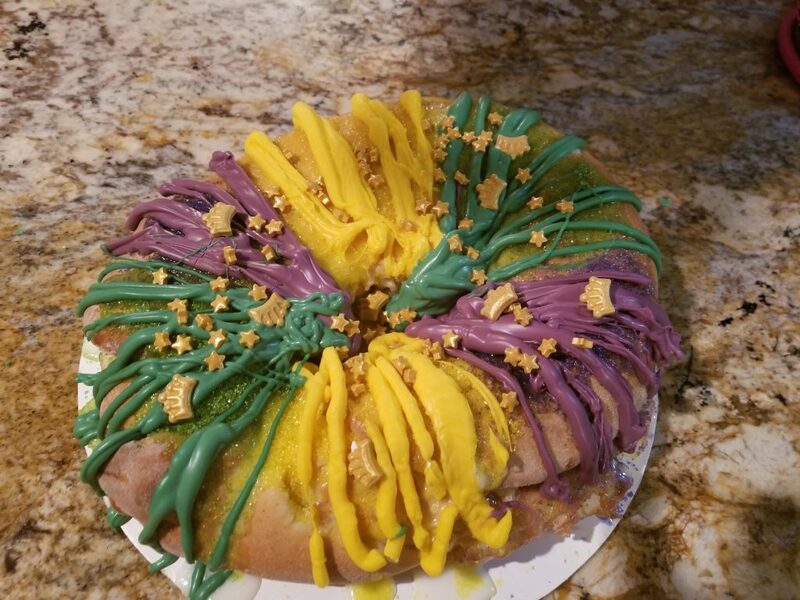 The king cake (with it’s hidden baby Jesus inside) is a symbol of the season. As you cut into the cake and search your slice for the baby, you are symbolizing the Three King’s search for the baby 2 millennia ago. 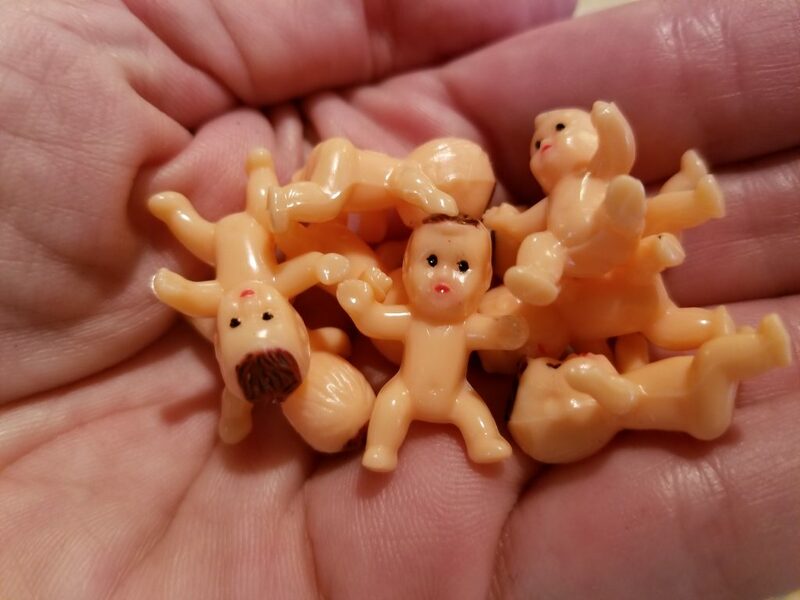 If you find the baby, you have to bring the next cake. 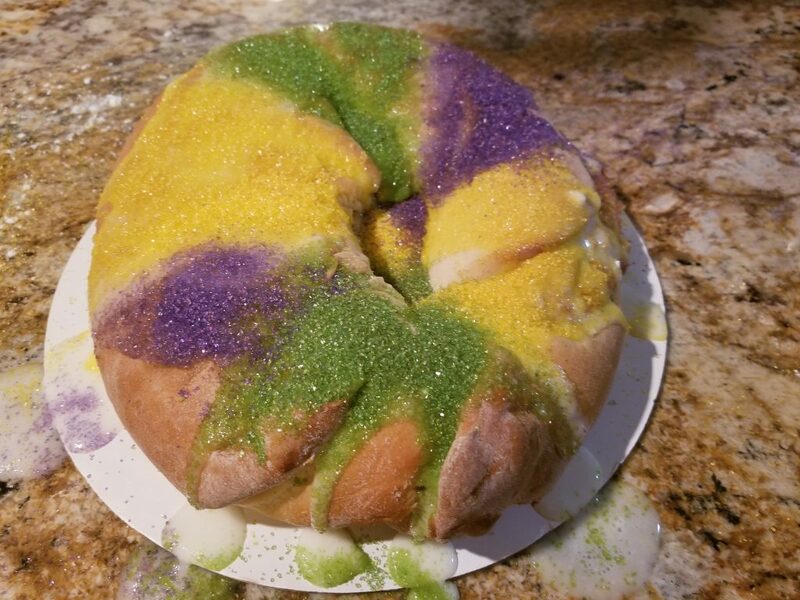 By the end of the season, lots of folks are sick of king cake. Follow the Southern Living Recipe – linked here. Don’t stress over getting the baby in the cake. Just lift the edge of the cake, where ever you want to insert the little bugger and pop him into the cake from the bottom. This allows the baby to remain hidden from anyone cutting the cake – you want it to be a surprise. This is where traditional has to take a hike. I love a King Cake, but I hate how “rustic” they look. I like a little more bling and pizzazz to my pastry. I use the glaze suggested by the recipe, but then we part ways. I like to use edible glitter and Wilton melting chocolate wafers to give my king cakes a little sparkle. You will only need about 1/3 of each bag (purple, yellow, green) for each cake. After chocolate is melted, put into a freezer bag or piping bag and snip the tip off. Drizzle the chocolate back and forth over the cake in alternating sections of equal width around the cake. I usually get three segments of each color – basically create a repeating pattern or purple, yellow, green. 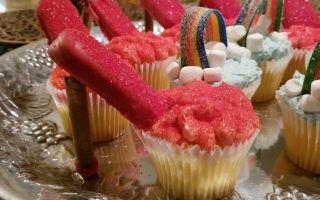 Come over each section of chocolate with the coordinating color of edible glitter until it sparkles to your heart’s content – for me it’s a lot of sparkle! 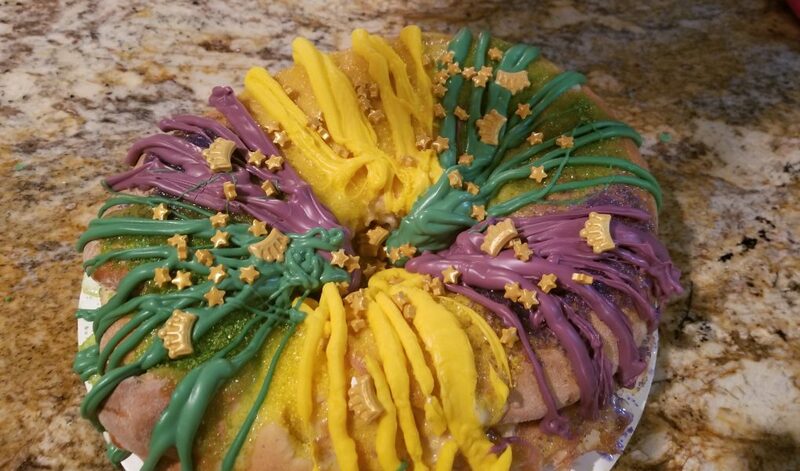 It creates a beautiful and brightly colored king cake that looks a little more finished than the traditional segments of sanding sugar. 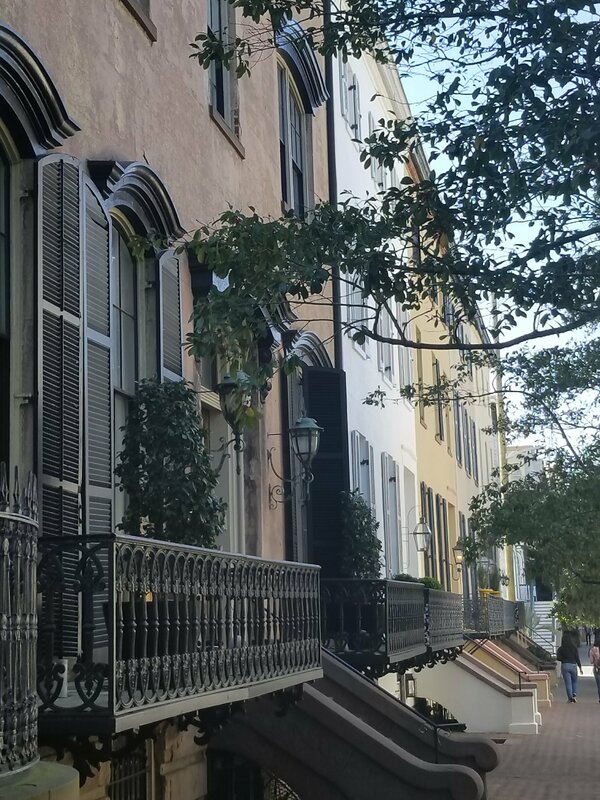 Chicly Geeky Guide to Springtime in Savannah! I had never heard of a king cake before. What a neat idea. I love how you change it up to make it less rustic. Looks like the perfect thing to eat for Mardi Gras. 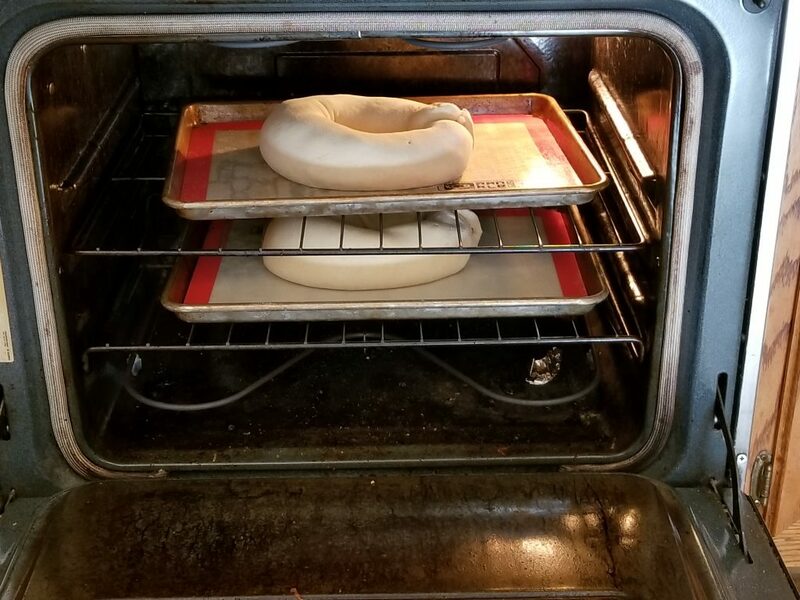 They are made with a similar dough to a cinnamon roll. The center can be either cinnamon and sugar, or all sorts of fillings. They are really good! I have seen these before but never knew the history behind them. Very informative, and the cake looks delicious!